2 Ways to Show Direct Service Connection. Direct Service Connection is exactly as it says – the most direct way to prove that one’s military service is related to their current disability, illness or medical condition. It is not the only way – there are 4 other major ways to make this proof – it is the most obvious way that the veteran can establish service connection for his or her current disability. Primary Method: The “Big 3” Elements. 3) medical evidence tying element (1) to element (2). 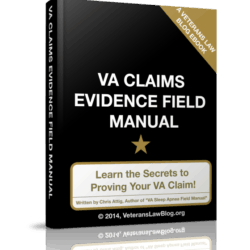 The VA wants to look to medical evidence to establish each of the elements, but this is not necessarily required. You are injured in airborne school when you smash your knee up on a rough landing. If you can find someone in your airborne class, or a medic that treated you on the DZ, or a family member, a friend that knew the injury happened, they can provide a statement. You were sent to the field medic when you threw out your back changing a tread on a tank. There is likely to be some medical record of your treatment. If the field medic took down notes – combat always complicates the ease of this proof – then that medical evidence would help establish the element of “in-service injury”. Alternative Method: Chronicity + Continuity of Symptomatology. Now, what if you only have medical evidence of a current disability, but no evidence of an in-service incident or no medical evidence linking the injury to the disability? You can establish service-connection by showing two elements: a) chronicity and b) continuation of symptomatology. Chronicity generally means that you must show that the condition you are experiencing has permanently been with you, sometimes better, sometimes worse, since you were in the service or since a short period of time after leaving the service. First, some diseases are presumed to be chronic.. For example, arthritis, Parkinson’s disease, cardiovascular-renal disease, sclerosis, certain types of ulcers, are all chronic conditions. To see the full list of chronic conditions for which you can use this method of Direct Service-Connection, take a look at 38 CFR 3.309(a). Second, when your condition or disease is not presumed to be chronic, you can submit an expert medical opinion or excerpts from accepted medical treatises showing that when a person has the condition or disease, the condition or disease is chronic. 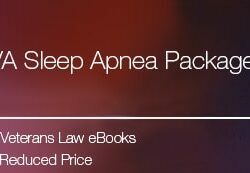 Note: Since the decision in Walker v. Shinseki, 708 F.3d 1331 (2013), continuity of symptomatology as a manner of proving service connection is no longer a valid method unless the condition is listed on the list of conditions at 38 CFR 3.309 (a), which sleep apnea is not. After showing chronicity, you will need to prove up “continuity of symptomatology”. Basically, this means that your symptoms – not your treatment, just the symptoms – were continuous from discharge to diagnosis. This can be confusing. Generally, you’re going to need a medical expert opinion, but in a rare set of circumstances, a lay opinion will suffice. What should those opinions show to satisfy this element? The opinion must show that the condition recurred regularly, without an intervening cause, from the date of the injury to the date of the claim. Let’s look at the example of the soldier who smashed up his knee in Airborne school. If he provides evidence that he did in fact smash his knee up and evidence that from the time he left the service (or shortly thereafter) until the time of his claim, he had a limp or favored his knee, and he provides evidence that he now has arthritis in his knee, has he proven continuation of symptomatology? Probably not – he’ll still need to connect the arthritis in his knee to the continuing symptoms of the limp. Generally, there are 2 ways of directly service-connecting your injury to your military service: use the 3 elements above, or when missing evidence of an in-service diagnosis of a chronic condition, you may consider using the “Chronicity + Continuity of Symptomatology” method. 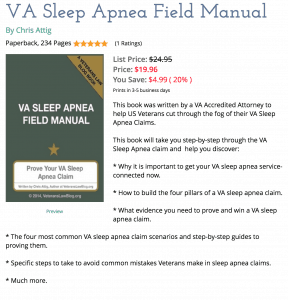 Do the VA have to follow the law at the time of you filed the claim? Mostly, yes. The law in effect at the time your claim was filed should govern. There are exceptions to this rule, however. 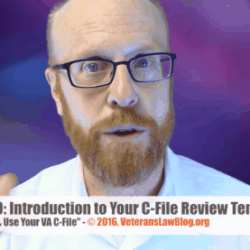 One common example is when a new regulation or statute is issued, Congress or the VA may say that the new rule/law is effective on/after a certain date, or to claims filed on/after a certain date. Did you have a specific scenario you were facing?